It’s really easy to set up Time Machine Partition & Use Your Time Machine Hard Drive To Store Files Too Partition & Use Your Time Machine Hard Drive To Store Files Too If your Mac's hard drive is small and your Time Machine hard drive is big, it might be worth using the drive for both backup and storage purposes. Read More , the backup software that comes with every Mac. Just point it toward your external hard drive or Time Capsule, then let it do its thing. But how do you get your files back when things go wrong? Revert all of your files to a given point in time, using OS X Recovery. Migrate your files to a fresh OS X installation, using Migration Assistant. Grab the files yourself, and put them wherever you like. Here’s a quick rundown of all these methods, including a way to grab files backed up using Time Machine from within Windows. Roll your entire system back in time, to a previous backup. Quickly get online using Safari. Restore your Mac using a Time Machine backup. First shut your Mac down completely, then turn it on again while holding the command+r keys. This should boot OS X Recovery. If this doesn’t work, you might not have a restore partition – but don’t worry. You can boot OS X Internet Recovery by holding command+option+r when your Mac turns on. This will download OS X Recovery from the web and boot it. If you have an older Mac you will also need to boot from the Restore partition. Shut your Mac down completely, then turn it on while holding the option key. Pick the partition labeled “Restore”. Once you’ve loaded OS X Recovery, click Restore From Time Machine and follow the prompts. Your Mac will be completely restored to whatever time you choose. If restoring doesn’t give you a bootable system, you can reinstall OS X and then restore your files using Migration Assistant. Time Machine doesn’t back up your entire operating system – for a complete backup of your OS, you need a more in-depth backup strategy The Ultimate Triple Backup Solution For Your Mac [Mac OSX] The Ultimate Triple Backup Solution For Your Mac [Mac OSX] As the developer here at MakeUseOf and as someone who earns their entire income from working online, it's fair to say my computer and data are quite important. They’re set up perfectly for productivity with... Read More . So if you’ve completely replaced your Mac’s boot drive, or somehow managed to corrupt your OS X installation, restoring from Time Machine won’t work for you. Restore your backed up files using Migration Assistant. We’ve already shown you how to reinstall OS X completely How to Reinstall macOS for a Fast and Squeaky Clean Mac How to Reinstall macOS for a Fast and Squeaky Clean Mac Need to restore your Mac to factory settings? Here's how to install a fresh copy of macOS and erase everything. Read More , using either your Mac’s restore partition, or with a tool like DiskMakerX (previously called Lion DiskMaker). Once you’ve gotten OS X installed, you can restore your files by running the Migration Assistant app. You can find this program using Spotlight, or in the Finder by heading to Applications, then the Utilities sub-folder. Launch it and you will be guided through the process of restoring your files from Time Machine. As always, this might take a while. If you just got a new Mac, you can transfer all of your files and settings easily from your Time Machine backup. Speaking of Migration Assistant: if you’ve recently acquired a new Mac, this program can grab all of the files and (some) software from your Time Machine backup. This is the fastest way to get all of your files to your new Mac, so keep it in mind when you upgrade. If restore isn’t working for any reason, or you just want more control over what goes where, it’s possible to simply grab your files directly. Time Machine isn’t magic: it grabs your files, and backs them up. You can browse these files directly using Finder, and grab whichever ones you like. Then just click-and-drag to grab files. If you only want certain files, or just want complete control over where everything ends up, using the Finder to browse or search your Time Machine backups is a simple alternative to Migration Assistant or OS X Recovery. If you don’t have access to a Mac, but need to recover files backed up by Time Machine. If your Mac died, you might not necessarily replace it with another one. While Apple doesn’t offer a tool for restoring your Time Machine files on a Windows computer, it is possible. We’ve shown you ways to read Mac formatted drives on Windows How to Read a Mac Formatted Drive in Windows: 6 Methods How to Read a Mac Formatted Drive in Windows: 6 Methods Need to read a Mac drive on Windows? Here's how to access your Mac-formatted APFS or HFS+ drive on Windows. Read More – HFSexplorer is a good free option. 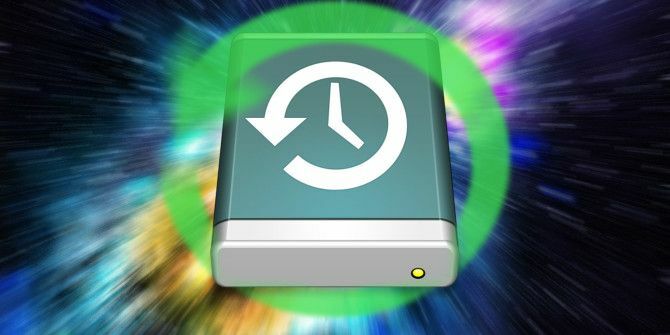 You can use any of these methods to browse a Time Machine backup with your Windows computer. You can find all of your files, and grab the ones you want. No matter how much I research a piece MakeUseOf readers always manage to teach me something new in the comments. There are some great resources for learning about Time Machine 4 Resources to Become a Backup Master with Time Machine [Mac] 4 Resources to Become a Backup Master with Time Machine [Mac] Read More out there, but I want to learn from you. How do you restore your backup data? Oh, and Windows users: Windows 8 comes with a great Time Machine alternative Did You Know Windows 8 Has a Built-In Time Machine Backup? Did You Know Windows 8 Has a Built-In Time Machine Backup? We sometimes forget with all the focus on Windows 8's new "Modern" interface, but Windows 8 has a variety of great desktop improvements. One of them is File History, a built-in backup feature that functions... Read More , in case you didn’t know. Check it out if you haven’t yet. Explore more about: Data Backup, OS X Mavericks, OS X Yosemite, Time Machine. My problem is I have a new MacBook Pro with a much smaller SSD than my old one's HD, and I only want copy specific subfolders from (for example) my documents folder in the old one's backup files. But when I open any of the backups I only find partial backups. I hadn't used it for documents for a while - but I don't know the exact date I stopped using it. The Time Machine backup has a couple dozen backup folders for EVERY date, as the old MBP was sitting in sleep mode. It still was backing up. I can't find a way to determine WHAT backup file has a complete documents...or any other "main" folder so I can copy what I need. Does anyone know of a way to figure this out? Did you ever find a solution to your enquiry re partial time machine backups? I just accidentally dropped my macbook 2012 on my hardwood floor (not far maybe half a foot but it was a definite shake on the side it dropped from). Last time this happened (about 4 or so years ago), I rememebr it was a very small drop as well, but it completely destroyed my hardrive. Within a couple of days my computer was freezing and the Internet would not load up after restarts, and by the end of the week it would be stuck on the grey screen of death. So naturally I am currently freaking out. I just backed it up on an external drive last night using Time Machine, and am backing it up again now, but I'm worried Time Machine will not be enough to restore what I have on my Mac if I have to end up getting a new laptop in the next couple of days. You mention in the article that it will restore some of the software, how can I more thoroughly back it up? Further, I was considering for my next laptop to get a PC instead of another Apple product, will I be able to restore it from my backup? I use an Imac and a macbook pro. I have backups for both on a NAS Synology. Yesterday I upgraded the RAM & SSD of my macbook because it was too slow. It was done by a reliable apple retailer. I did not ask for a clone of the hard drive, having a time machine backup on my NAS. And truly, I relied on it very much because it worked so well last year when I had to change the hard drive of my Imac after a crash. But now when restarting the mackbook and trying to restore using time machine, it simply does not see my backup. Instead, it sees the backup of the other machine, the Imac. Plus, the system also proposes to restore data from another NAS located in my internet box, but on which there has never been any backup. 1- I followed the instruction when I first started the newly upgraded machine. I chose the option restore from a Time machine backup. 2- I restarted the machine using then command R at the start. 3- I copied the time machine backups on an external hard drive and restarted the machine using then command R.
I was wondering if anyone could help me with that? I'm sorry, I don't know how to help you. Did you use the instructions above, or the method provided by Synology? If you use a network device to back up with time machine, chances are it's totally useless to you if you want to import to a new computer. i just went through this with Apple support and the network device backup will only restore to the computer that is backing up. My display went out (iMac) and when I got the new computer nothing I could do would recognize the network time machine backup. Use Carbon copy cloner, not time machine. TM is only usable on a local drive / with migration assistant. Time machine will not help you if the sparse bundle is on a network drive. Will start simple and work my way up. When doing a full restore, how long do you have to hold Command-R? Recently did a restore of OS X 10.6 (Snow Leopard?) from Yosemite. Everything went smoothly. Let's call this MacBook 1. I wanted to use Time Machine from MacBook 1 to restore some files I was working on in Yosemite to another Mac I have, let's call it MacBook 2. At first I hesitated to do this (when an outcome is uncertain, sometimes I hesitate, LOL) but decided just to try and do it. While certainly not an exhaustive test, the Time Machine backup from MacBook 1 would not load (just to browse and copy some files) on MacBook 2. Should this be considered the normal outcome? Actually it was disappointing that it would not do this, unless somehow I screwed up. I have limited experience with downgrading, but my suspicion is that you shouldn't restore from Time Machine after doing that, and you were correct to not try. Browsing to find the files and recovering them manually shouldn't be a problem, though. There's a chance you've got a corrupted backup, can you still access it from the other Macbook? I’m a little wordy (and nerdy) so please bear with me. LOL. To be on the safe side, I connected MacBook 1 to the external drive. MacBook 1 is now running OS X 10.6 (snow leopard?). Enter Time Machine was selected from the Menu Bar. It said, ‘Today (Now)’ at the bottom where the Cancel (left side) and Restore (right side) buttons are. It mostly showed files from 2011. What I wanted were files that were recently created when it was running Yosemite. The most recent Time Machine Backup was from February 11, 2016. It showed files that were created more recently (like I wanted) but no additional file data, like date created or file size. I was looking for files that pertained to using Parse (RIP) as a backend database, and files about using Adobe Acrobat DC. At some point the question in my mind was, why didn’t I create these in iCloud in the first place and could I copy them to a thumb drive from within Time Machine. You can insert a USB thumb drive and it is recognized but it is greyed out and not selectable. I selected 5 or 6 files and clicked Restore. Time Machine exited, a Finder window opened or was reopened and the restored files were now available. They were immediately copied to the thumb drive. In my haste I failed to notice that a second Finder window was open, which would have allowed me to place them on the thumb drive in a more organized location. So for the most part everything ended well. I have more questions but few people will read this far. LOL. I'm glad you got your files back! What a journey that was. If you have any more questions feel free to ask, I'll read them. My computer froze last night, and in attempting to fix the problem I held down on the power button to turn off, and then turned it back on. However, at this point a screen with a folder and question mark appeared. I once again shut it off, and held command + R and got to the OS X Utilities screen. My problem is this: I haven't made a backup in who knows how long. I do not know which of the options to choose to start up the Macbook without losing my files. That screen with the folder means there's something wrong with your hard drive, and recovering your files isn't going to be straight-forward. You need to find expert help, or at the very least a computer savvy friend. JPot - I don't want to go back in time...except to grab a particular folder. I am able to go back and see it but when I restore, it does nothing, or is it putting it in a folder somewhere?? If restoring from Time Machine does nothing, browse the file structure of your backup in Finder. You can work out which folders refer to which dates and find what you're looking for – I've done it before. Also: how did you know to call me JPot? Are we friends? Identify yourself. My web host provider changed and my email account settings had to be changed. Some changes worked and some didn't. In a frustrated effort to change settings that mail refused to allow me to change, I deleted an account so I could enter all the data fresh. Duh. I was too frustrated to notice what I was clicking OK to, and now I've lost all the emails that were in that account. Restoring from Time Machine is quite difficult when you can't find the files, so first I had to use Terminal in order to show hidden files. Finally I found them (I think) and restored them, but the Mail program doesn't see them anyway. They are just sitting in many layers of folders, with lots of gobble-guck, and are pretty much unusable. Any ideas on how to get them back in a way that can be utilized easily? So if you revert the contents of ~/Library/Mail, that should revert your mail program. I think. But I have to admit I don't really use Mac Mail, so I can't test this. Data Recovery is great as a last resort, but is not an alternative to backing up. Always. Back. Up.